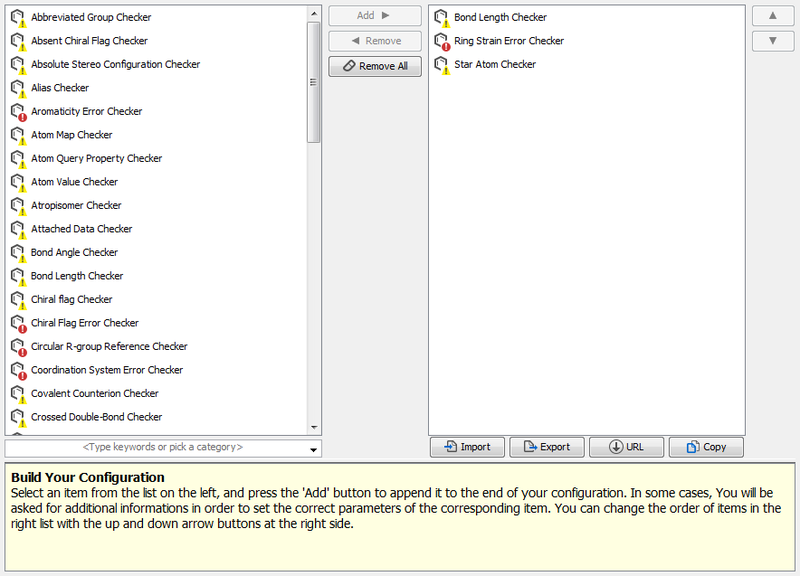 Structure Checker Editor is a simple application to create new configurations, or to modify existing ones. Using this editor, building a configuration from the list of available checkers, specifying the order of execution, and setting fixer parameters are fast and easy. Find Structure Checker Editor in the Marvin installation directory. The Structure Checker Editor can be used analogously to the Structure Checker Configure Checkers panel. Visit Creating a Configuration StrCh.